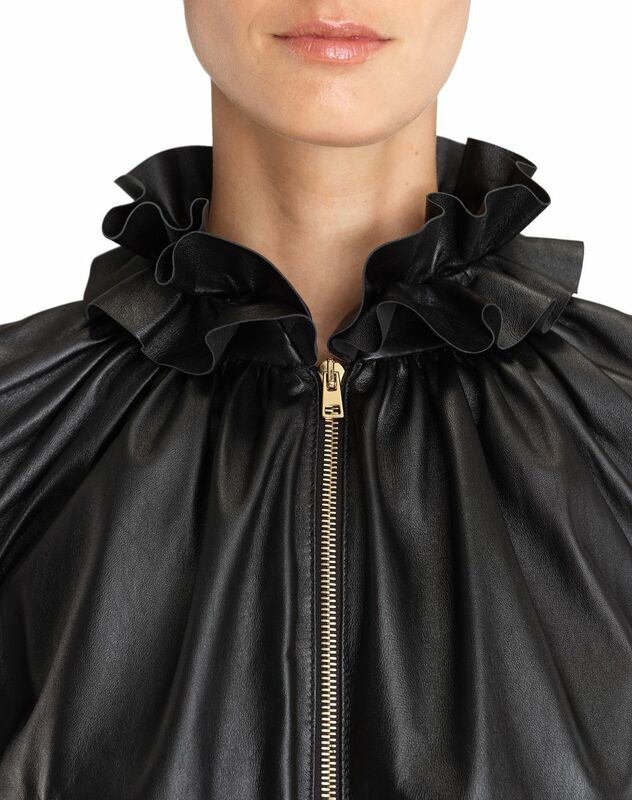 Gathered plunging jacket in shiny black lambskin leather, frilly collar, side welt pockets, front vermeil-finish zipper, long sleeves, and ribbed hems. 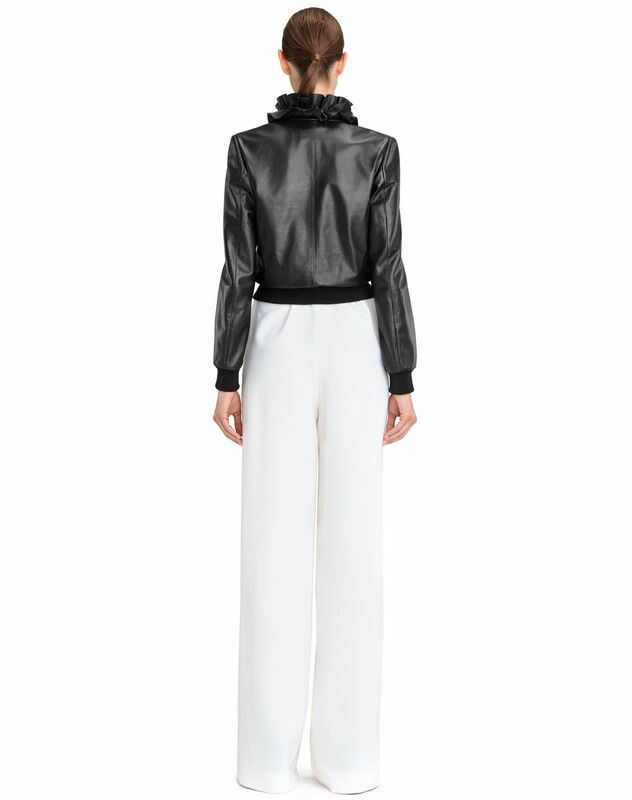 This leather jacket – a wardrobe staple – stands out for its gathering and frills. 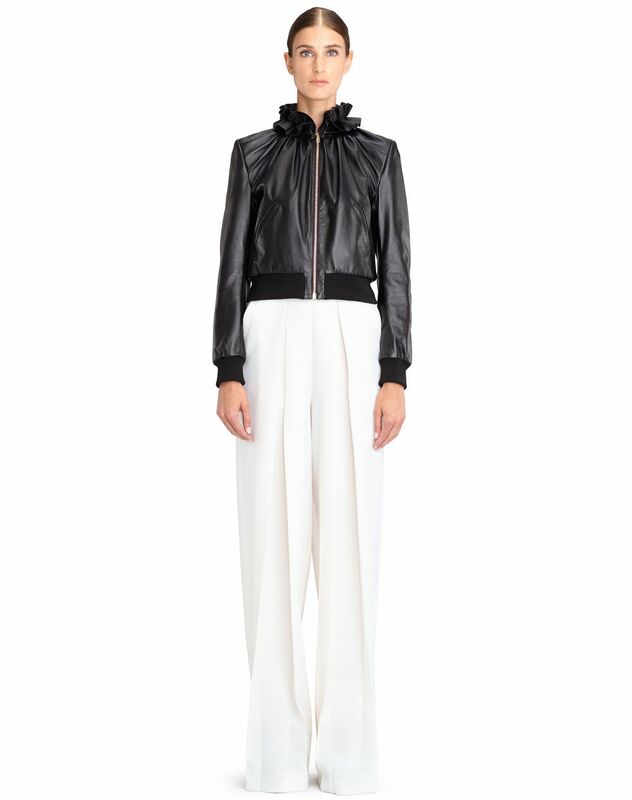 Its short cut, zipper closure, and ribbed detailing provide a modern and elegant silhouette. Main material: 100% lambskin leather. Lining: 100% polyester weave. Model's measurements: Height: 179 cm Chest: 82 cm Waist: 62 cm Hips: 88 cm Model wears a French size 36. Made in Italy.